Do we need a development director? This is a question I’ve been hearing lately from nonprofit organizations. 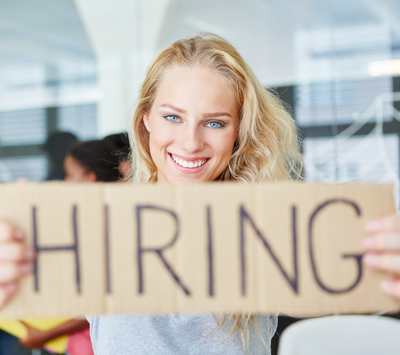 The high turnover rates among senior development staff are well known. This reality, combined with the high of providing salary and benefits to a development director (DD) causes many smaller organizations to ask themselves: Is there another way? Sometimes an organization hires a development director, but the work they need this person to do is better suited for a development coordinator or manager role. 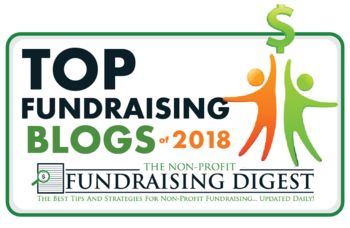 Some nonprofits stretch their budgets to afford the high salaries + benefits that successful development directors command, but lack the budget to afford any of the support a DD is accustomed to – e.g. admin support, professional association memberships, wealth screening services, etc. If an organization is feeling financial pressure, a new DD may be met with unrealistic expectations (by her executive director and/or board members) the minute she walks in the door. These unrealistic expectations likely focus on raising large amounts of money quickly. Fundraising – and especially major gift fundraising – doesn’t work that way. Given these factors… what can you do instead? Read on for two alternate scenarios, that I’ve seen work for small organizations (annual operating budget of $1 million or less). A summer music festival I know had one full-time development manager on their staff. This person was assisted by a full-time administrative assistant – who supported the entire organization but devoted approximately 1/3 of her time to development. The board and staff team wisely chose to focus their fundraising efforts on individual donors through annual fund and major gifts programs. They had a large board (30 people). The executive director (ED) had a decent amount of fundraising experience, as did 10 or so of the board members. None of them was afraid to ask for money. In this scenario, the development manager served as the hub of all activity. She managed the prospect lists, ran reports out of the database, provided board members with materials for donors, nudged and reminded the ED and board members about contacts they had promised to make. The ED and the board members focused primarily on cultivating and stewarding donors and on making asks when they felt the time was right. When it came time to hold an event, the admin assistant helped coordinate and managed RSVPs. She also maintained the database and sent thank-you letters. A small, private school for children with special needs recently decided that they could not afford to hire a development director. Instead, they hired a development assistant – an educated, smart, fast-learning 27-year old with energy and curiosity to burn and NO development experience. Get to know our organization and write us a development plan for the next 12 months. Provide weekly coaching to the development assistant and ED on accomplishing the tasks in the development plan. When you see us doing something wrong or have an idea for how we might do it better, speak up! Proactively point out issues and potential obstacles; we don’t know what we don’t know. Hiring an outside fundraising consultant allowed the school to tap into a high level of experience and expertise at a relatively low price point, i.e. much less money than a full time salary with benefits. In summary, an organization’s decision whether to hire a development director shouldn’t be based on their concept of that position in isolation. What makes or breaks it for most development staff is the people and capacity that surround them. Think hard about the already existing ecosystem you want your new hire to plug into and let THAT help you define their role! What are your thoughts on the development director role? Does your organization have a DD? Please share your thoughts or experience in the Comments box below!